On 12 October 2017, UHA offered to utilise community raised funds to pay for independent experts to calibrate Ethekwini owned monitoring equipment so as to make them available for air quality monitoring purposes by Ethekwini, and enquired from the Municipality, whether if it did not take up the offer, the Municipality intended to do so of its own accord given the contents of the Infotox report. This offer was rejected and no indication was given whether it would attend to calibrate its own equipment. The above pictures were taken on 16 January 2019 and evidence Ethekwini and EnviroServ employees installing equipment which Mr Zondo of EnviroServ confirmed, was “uplifted” from EnviroServ. 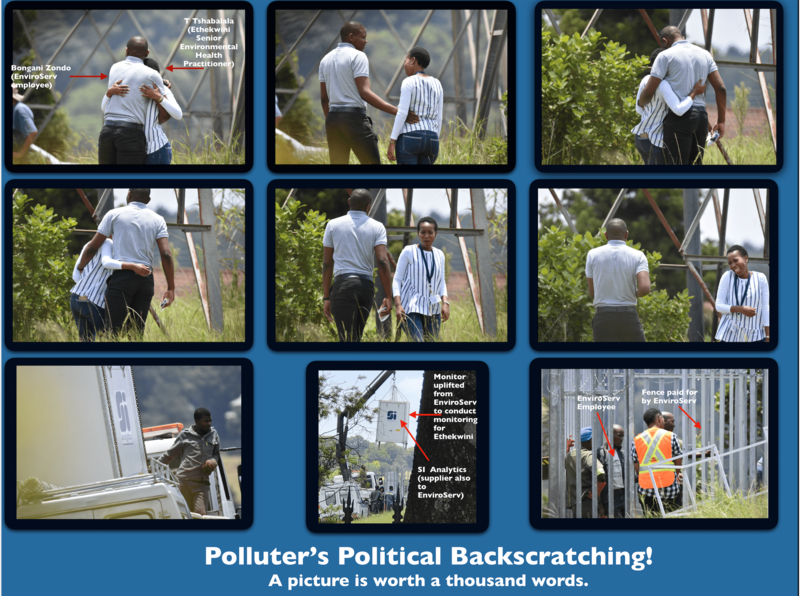 The fence surrounding the site was also according to Zondo, supplied by EnviroServ. SI Analytics is also the same service provider responsible for supplying EnviroServ’s dodgy Scentinal monitors. Monitors which EnviroServ were happy to rely on, despite being poorly calibrated and the data from which was mismanaged and in some instances, manipulated before being provided to UHA. 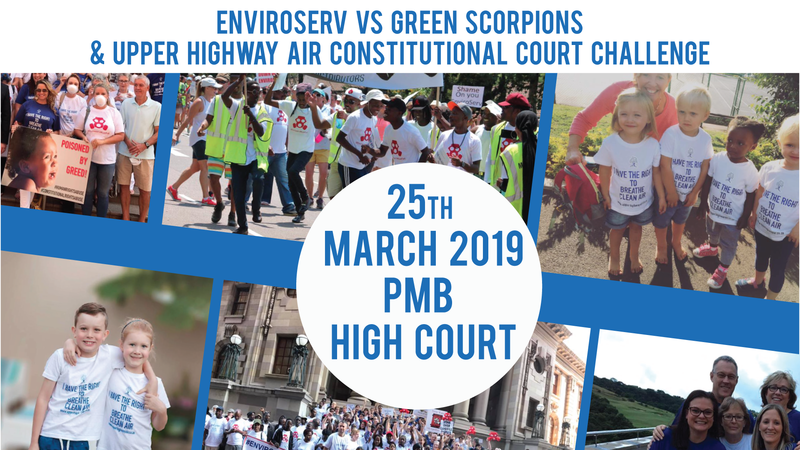 Amongst the many “why’s?” this clearly cosy relationship raises, are why did Ethekwini refuse the Community’s offer over 15 months ago to pay for independent calibration of its equipment, and, why are we all still waiting for the outcome of the appeal against Ethekwini’s decision to grant EnviroServ a Scheduled Trade Permit? Please remember to report, support and donate! UPDATE – OLD TRICKS, NEW DOG.